On March 12, Reps. Lucille Roybal-Allard (D-CA), Nydia Velázquez (D-NY), and Yvette Clarke (D-NY), alongside House Democratic leadership, introduced H.R. 6, or the Dream and Promise Act. H.R. 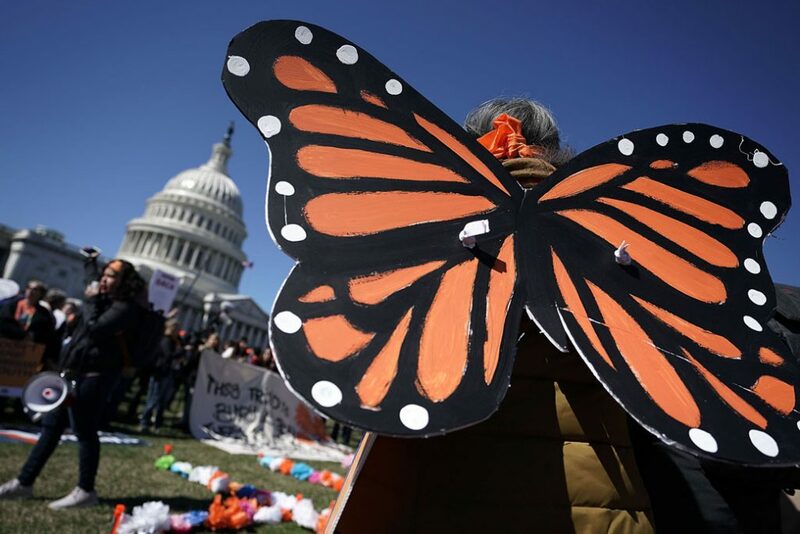 6 provides permanent status and a pathway to citizenship for Dreamers, Temporary Protected Status (TPS) holders, and Deferred Enforced Departure (DED) recipients who have had their lives thrown into limbo because of the actions of the Trump administration. The average TPS recipient has lived in the United States for 22 years, the vast majority of that time in lawful status, while the average Dreamer potentially eligible for protection came to the United States at age 8. It is well past time for Congress to pass permanent protections for these individuals, as well as for their families and communities. The list below includes the Center for American Progress’ top resources on the demographics of Dreamers and DACA recipients, TPS holders, and DED beneficiaries who could be eligible for permanent legal status and a pathway to citizenship under the Dream and Promise Act. Contains city- and county-level data on demographic and economic impacts of immigrants eligible for protection under the Dream and Promise Act. This research brief features interviews with TPS holders as well as national data on the demographic characteristics and economic contributions of TPS holders. Contains state-by-state data on the demographic and economic impacts of Dreamers potentially covered by the Dream and Promise Act. Contains data by congressional district on the demographics and economic impact of Dreamers, TPS holders, and DED beneficiaries potentially covered by the Dream and Promise Act. Contains state-by-state data on the demographic and economic impacts of TPS and DED beneficiaries. Contains data for six states on the number of TPS workers in construction and disaster relief. Contains state-by-state data on the number of U.S.-citizen children living in households with family members with TPS. Contains results from a national survey of DACA recipients. Contains state-specific data on access to driver’s licenses, to higher education, and to professional licensing for DACA recipients. A video of DACA recipients talking about their lives in America and how important DACA has been for them. Contains national and state-level data on the economic impacts of ending DACA. An analysis rebutting claims that DACA caused the uptick in children requesting asylum at the U.S.-Mexico border. A video of educators sharing how the uncertainty surrounding Dreamers and long-time residents, including Temporary Protected Status (TPS) holders, is affecting their students.